The book's main character François is a literary scholar in his mid forties who teaches at a University in Paris, a specialist in the 19th century French author Joris-Karl Huysmans.François, although much preoccupied with his cooling libido and increasing loneliness is suddenly electrified by events in national politics that have been brewing for a while and now seem to be taking an alarming turn as presidential elections are being held. After the first ballot the Front National is ahead of the newly formed Muslim Brotherhood Party and the Socialists. In order to avoid Marine Le Pen as President of the Republic the Socialists conduct secret negotiations with the Muslim Brothers which eventually result in a Muslim fanatic being elected as President, Mohammed Ben-Abbes, who had initially camouflaged himself as a moderate. A Muslim social order is introduced in France, polygamy becomes the new norm and non-Muslims are fired from their university positions. The Muslim dictator plans the unification of North Africa with a Muslim Europe. At the end of the novel, François, having initially fled to the country, contemplates conversion to Islam with the prospect of a second, better life, with a prestigious job and wives a plenty. On the day Soumission was published, the satirical magazine Charlie Hebdo, having dedicated its cover to a caricature of Houellebecq, was attacked by Islamist terrorists, twelve people were killed, eleven others injured. Michel Houellebecq (French: [miʃɛl wɛlbɛk]; born Michel Thomas; 26 February 1956, is a French author, filmmaker, and poet. Houellebecq published his first novel, Whatever, in 1994. His next novel, Atomised (Les Particules élémentaires), published in 1998, brought international attention. Platform followed in 2001. 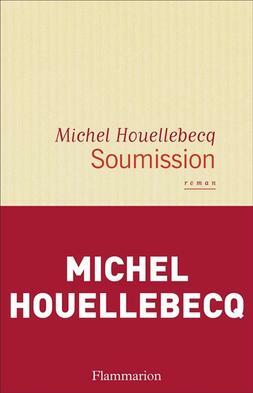 In 2010 Houellebecq published La Carte et le Territoire (published the same year in English as The Map and the Territory) which won the Prix Goncourt; and, in 2015, Submission (Soumission). He published several books of poems, including The Art of Struggle (Le sens du combat) in 1996. In 2002, when during a publicity tour for his controversial novel Platform he called Islam "stupid" he was charged for inciting racial and religious hatred. But the charges were ultimately dismissed.